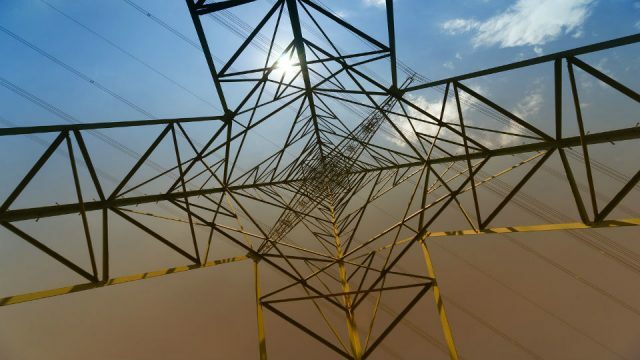 "Energy companies are no longer in control of energy sector"
“The energy sector will develop outside of energy companies,” predicts Ad van Wijk, Professor for Future Energy Systems at Delft University of Technology in the Netherlands. Academic, sustainable energy entrepreneur and innovator, one of Europe’s most influential thinkers describes the paradigm shifts he sees: a switch to LED lighting, a DC grid, and fuel cell cars, plus the emergence of the Internet of Things and 3D printing. 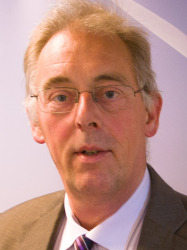 Originally a physicist, with a PhD in wind energy and electricity production, Van Wijk went on to found consultancy Ecofys in 1984. It later became part of Econcern, a company founded by Van Wijk, which he wanted to turn into “the Shell of renewable energy”. In its heyday it owned a wide range of activities and assets, including an offshore wind farm, several multi-MW solar farms, a bio-methanol plant, energy-producing greenhouses, and a production company making electric vehicles. It also launched a tool to visualise energy consumption in buildings. Thanks to Econcern, Van Wijk was elected Entrepreneur of the Year in the Netherlands in 2007 and Top Executive of the year in 2008. The company turned out to be too ambitious, however, and went bankrupt the next year when the economic crisis hit. Ecofys and several other parts of the business were bought by Dutch utility Eneco. 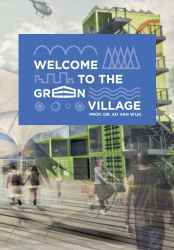 Today, Van Wijk remains involved in initiatives such as the “Green Village”, a testing ground for new technologies at Delft University of Technology. In this interview, he explains why the positioning of LED lights is as important for energy efficiency as the LED-technology itself. He argues that without changing from an AC to a DC grid, we will never be able to have an energy system based on renewables. He wants us to replace our power plants with cars. And he enthuses about how the Internet of Things and robots with batteries will make demand more flexible than ever before. Van Wijk believes these changes will start to transform the energy system in the next 5-10 years. The biggest problem? Energy companies don’t see it. Q: What is your vision for the future of our energy system? A: I am interested in the effect of new technologies on our energy system. Today, I am working on three main paradigm-changing concepts in the energy sector. The first one is what we call the LED revolution. We are already changing light bulbs to LED light bulbs. Yet a lot of the energy that is wasted in a lighting system is not because a light bulb is inefficient but because you are producing light at the ceiling and consuming it near your eyes. The distance between the production and consumption of light has a lot of energy losses. Now the interesting thing is that LED is very small – you could integrate it near to your eyes, in a table, chair or even in your clothes or glasses. Then you can save energy from a better technology and a reduced distance for the light to travel. We are only starting to do this. Q: What is the size of the efficiency improvement from LED lighting? A: LED as a technology is 4-5 times more efficient than a regular light bulb and we guess you can have the same improvement again with the distance reduction. The next step is that LED is a diode – it is also in your TV screen for example – so you can develop new functions for the LEDs integrated into your tables, the floor etc. A company like Desso, which makes carpets, and Philips, which makes LED lighting, have partnered up to integrate LEDs into carpets that can guide you through a building, for example. If you arrive at an office looking for a Mr Petersen, your phone and the LEDs could guide you there. This can also be done in streets or parking lots. So it is a route to new, more integrated products that make your environment smarter. Q: Apart from LED, what are the other two paradigm shifts you see coming? A: Second, is the grid. Today the electricity grid is AC (alternating current). But all of our appliances – fridges, LED lighting etc – work on DC (direct current). And all renewable energy production is DC. So our system today is that if we have a solar cell, we have to convert the electricity [it produces] from DC to AC, put it in the grid at home, and then convert it back from AC to DC in every appliance. If you want to use your car battery to store electricity, you have to convert the power from AC to DC to store it and back again to release it into your house. Every conversion step is a loss in energy. So, we need to change the entire electricity grid into DC. Today the high-voltage grid across seas and oceans is already DC, it’s called HVDC. We want to do the same at the medium- and low-voltage level. The interesting thing is that you can easily have the 350-400V DC grid in your house – you don’t have to change your wires and you don’t have to change your appliances. The only thing you have to do is that at this moment all your appliances have an AC-DC converter, but in future you can leave that out. The same is true for a solar system – today you need a DC-AC converter but with a DC grid, you can leave it out. This means you can save 5-10% on investments in a solar system. So it’s not only that you save on energy, you also save on cost. Q: Why is the grid all AC so far? A: It’s because of a past battle between Mr Edison and Mr Tesla. Edison, who invented the light bulb, was already working on DC at the time. Tesla was connected to Westinghouse and they made large power plants (initially hydro). The electricity produced somewhere in the Great Lakes had to be transported to Washington DC over a large distance. At the time, Tesla could increase the voltage to a higher level on AC and reduce the loss through cables over a large distance. So he won that battle you could say. At the time we didn’t have the chips and motors working on DC like today. Today, because of the introduction of chips, every appliance works on DC. Today, power electronics have developed and we can transport long distance over DC also. All the equipment for a DC grid is there. The only thing we have to do is change the system, which is of course a big change, a paradigm shift. But you can do it gradually, in parts, even at house level. You could install an AC-DC converter at your doorstep for example. Then you distribute on DC in your house. You save on energy but also on the inverters that you otherwise need. “We do a test in a greenhouse in the Netherlands where we grow tomatoes. Normally you have a lighting system on the ceiling to help the plants grow faster. What we’re doing now is changing to LED lighting. And we want to put the LED lights in between the plants. But it turns out that we cannot do that because every string of LED lights has an AC-DC converter at the end, which has energy losses, which means it becomes hot. If you put this converter in between the plants, they are burned. So what we do is we put the converter outside the greenhouse and a DC grid inside, so that we don’t produce that heat anymore, can put LEDs in between the plants and reduce the energy use by a factor of 10. But we also save 1000 kg of copper per hectare because every AC-DC converter has copper wiring. And now we need only one, not one for every string of LED lights. So this is not only saving on energy, but also on materials. In the end, if you want to develop a totally renewable energy system, you need to do that on DC because you need so much copper if you have to convert DC to AC and AC to DC again, in my view it is simply not possible with an AC grid. You need to change the system. It’s nothing to do with production, but everything to do with the distribution and use of your electricity. Q: Who is the driving force for this makeover? A: For HVDC it’s really the industry – companies like Siemens, GE etc. At the low-voltage level, you see that it is especially smaller, specialised companies. For example there is a company called Nextek in the US that is delivering this kind of systems for your home. Energy companies are, sometimes reluctantly, studying the subject. Public authorities are getting more and more interested. But when you look at the electricity laws or codes for the public grid or grids in buildings, you’re not allowed to do something on DC. This is true at EU and also national level. Nobody ever thought you could do it on DC. Therefore the regulations and codes are written in such a way that you can do it in AC but not DC. So you also need innovation in regulation in this case. Q: What about the grid operators, are they involved in this? A: No, normally they are so heavily regulated they say ‘oh it’s not allowed’. Also the advantage is at the customer level, it’s there that you have your energy saving, your renewable energy by solar, your copper saving. For the grid operator it’s more or less the same whether the grid is on AC or DC. They don’t see their advantage. Q: And what about your final big paradigm shift? A: Third, is the fuel cell car. Many car manufacturers are now working on this and it is being introduced in California, Germany, South Korea and Japan. 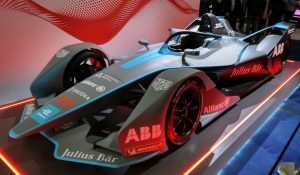 The fuel cell car can produce electricity – it is an electric car with an electric motor – but the power comes not from the car’s batteries but is produced on board by a fuel cell converting hydrogen to electricity. The efficiency of this fuel cell is high, 60%. The idea is that when this car is parked somewhere, it can also produce the electricity for your house, the grid, your office etc. Indeed every fuel cell engine, with about 100kW, can provide the electricity for 100 houses, not just one. The potential electricity production capacity of our cars – if they became fuel cell cars – is ten times that of our power plants worldwide. In Europe, we buy as much electricity production capacity in cars every year, as twice our power plants. So we can replace our power plants by cars. You could build a parking lot for example, where you connect cars to a hydrogen production facility and to the electricity grid. When there is a surplus of electricity production from wind or solar, you produce hydrogen and store it in the tank of the car. When there is less electricity production, the car can produce the electricity that is needed. Q: The car becomes both a store and producer of electricity? A: Yes. And if you think about the development of autonomous driving, you could actually transport the car to where it is needed to produce electricity. Your car will drop you off downtown, drive to a car park to produce electricity and pick you up when you “whistle” for it. The car park can be on the city outskirts so this will also make a city cleaner and carless. We will have a totally different electricity-and-transport system. Q: But all the talk seems to be about battery-driven electric cars? A: The car manufacturers are all talking about the fuel cell car. Tesla dominates the public debate at the moment, but that’s not the main direction the car manufacturers are going. Hydrogen also lets you drive long distances: with 20kg of hydrogen in your car you can drive 2000km. And you can fuel your tank – that’s also a difference with a battery-powered car – in 1-2 minutes. Q: Your speciality is technological developments. Do you see any recognition among policymakers of these changes? 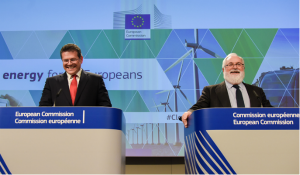 In Brussels, the European Commission is talking about a redesign of the electricity market and a “new deal” for consumers, but this is all about smart meters, better information on electricity bills etc. The debate doesn’t seem to stretch to this level of system change. And how to decarbonise transport is a separate discussion all together. A: These technological developments are happening but you don’t see them in the public debate about how a transition to a new energy system can be done. The public debate and policymakers don’t recognise these developments. It’s going much faster than they think. Q: Is this a problem, does it risk slowing things down or even blocking them? A: No. Of course regulation is a part of it, but the main problem is that a lot of these elements are not recognised by the energy sector itself. They don’t see the developments because they are not looking outside their sector. For example, the DC technology is very much driven by companies like Cisco and Apple because they are developing USB standards, for example. And they use DC in their data centres. USB becomes a standard not only for data transport but also for energy transport. Outside the energy sector there are developments that influence it a lot but they are not on the radar of either energy companies or energy policymakers. These developments will happen, will come and will affect energy companies because it is the customer that is buying these things or using them. You see already Toyota and soon also Hyundai offering a fuel cell car with a plug that can provide electricity for the home. Q: Are there still energy companies in future? What do they look like? A: I always say the energy company of the future will be a car leasing company for example. But you can also think that Google will do this together with the car companies. The energy companies of today need to change otherwise they will be out of business. I don’t see them thinking like this today. Traditional energy companies are already puzzled by the developments in renewables. The energy sector will develop outside of energy companies. For example, the smart meter you mentioned, such a development will be surpassed by the Internet of Things. Every appliance will be able to measure its own energy consumption. Let’s take a fridge company – it will lease a fridge to you, including the electricity for it. The company then has a million fridges all over Europe and goes to trade on the electricity market. When there is an excess of electricity it turns the fridges up – so they cool a bit more – and when there is less, it turns them down and consumes less (then the price is also high). It’s nothing to do with energy companies anymore. Q: As we move to a much more distributed energy system, what role is left for big, centralised infrastructure such as offshore wind farms and a high-voltage grid? A: You can produce electricity from wind, solar etc. on a large scale. But it’s not necessarily an electricity network that will collect this energy. For example, I’m working with some of the world’s biggest companies to put wind turbines in the middle of the ocean where there are much higher wind speeds than in the North Sea. You cannot connect these floating wind turbines to land with a cable – that would be well above 1000 km and very pricey – so what we do is use the electricity to produce hydrogen, put it in a ship and bring it onshore. From there, it can go to fuelling stations for cars or to industry for products because hydrogen is also a chemical component for fertilizers for example. There will [still] be a high-voltage network but there is a decreasing need for it – you can do a lot on a local scale and you can do a lot of energy transport via ships and roads too. Q: To what extent is energy policy shaping our future energy system? A: You need energy policy. You need it to implement hydrogen fuelling stations in Europe for example. There is a need for a carbon price or something similar to stimulate the production of clean energy. On the other hand, some of these things will happen simply because companies and consumers produce and buy them. Without regulations. It’s not forbidden to connect your car to your house to produce electricity. Q: How do oil and gas companies view these developments? Offshore production, hydrogen etc are not a million miles away from their expertise. A: A lot of these companies are busy with their normal oil and gas reserves but you see for example Shell not opposed to hydrogen. First, it is also a fuel. Second, you can produce hydrogen from normal natural gas (and in the future through electrolysis driven by wind and solar power). In Germany, a coalition that is building 400 hydrogen fuelling stations consists of Shell, Total and car manufacturers. Q: Are there are any other paradigm shifts you see coming? A: I already mentioned the Internet of Things and the fridge example. Today we think we need batteries for flexibility but it can be done through demand too, and robotising. Today you plug in a vacuum cleaner and you need 1000 W at that time. In future, it will be a robot crawling around on the floor with a battery. The battery will be charged when the electricity price is low and you can still clean whenever you want. Robotising and the Internet of Things will make all devices clever and demand much more flexibility. Every appliance, from your fridge to your car, will have chips, an internet connection and a battery. And what does 3D printing mean for energy demand? You will use more electricity at home but less energy in the total system because of avoided transport and logistics. You need to transport your raw material of course, but that doesn’t cost as much energy as shipping all your finished goods from China for example. You will be able to produce personalised products at the location where you need them, on time. You will cut waste by only producing what you need. Q: Does this mean Europe will de-industrialise? A: Industry will develop these printers and designs [for printing] but if you want to make chairs or kitchen appliances etc. you will be able to do that at home. I think there are many developments in the world today that have much more influence on the energy sector than the energy sector itself and also policymakers around energy. Q: What is the timescale for all these system changes? A: All these developments will happen, the only question is when. I think the fuel cell car will take at least another 10 years before it produces any major changes in the energy sector. But the LED revolution and Internet of Things will go much faster – I see them coming in 5-10 years already. 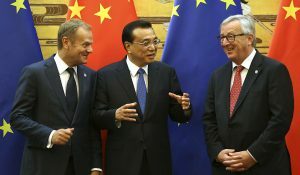 The DC grid, I don’t know, I think you will see it develop very fast in certain areas – new towns in China for example – but in Europe I’m not sure. On the low-voltage level you will see some developments in buildings in the next 5-10 years but I’m not sure whether the grid itself will change that fast. 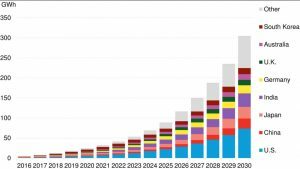 However, well before 2050, you will see large impacts of all these developments on the energy system. This is the first in a series of interviews with leading energy thinkers who will be speaking at KIC InnoEnergy’s Business Booster event in Berlin on 21-22 October. Energy Post will be hosting a panel debate at the event on “the innovations that will transform European energy”. You can register for this event here. Time for the oil majors to wake up and join the energy transition. Splendid stuff! So we set up wind power in the middle of the Atlantic to desalinate sea water, then through electrolysis we turn it into hydrogen. We then liquefy it, so we can ship it in large quantity to the currently minuscule number of fuel cell vehicles in Europe, so we can park them attached to the local grid and run the entire family home on then, as we dangle LED lights on the ends of our noses to see where we are going. Excellent plan, but it may take a little longer than ten years I fear. And all this with oil at 45 a barrel! Also not covered is the problems that are covered when you use DC conductors for long periods of times with possibly dissimilar materials and moisture. Choose the materials & polarity wrong and the normal redox reaction speeds up even faster. WIth AC the constant reversal of the polarity minimizes the redox reactions that might occur. And then there is the voltage level to choose… Van Wijk suggested 350V to 400V, but I’ve also heard suggestions at various engineering conferences that 250 would be better, 12V or even 5V. It really doesn’t matter because in the end there would be a switch mode power supply someplace in the device to provide the voltages needed (even your PC has multiple pwr supplies on the motherboard… the processor probably runs on about 1.2V, while some of the chips run on 3V and the USB connector is 5V). Yeah, 12V sounds a lot better than 300V. The idea of small children plugging in the Gameboys and iPads at 300Vdc is more than a bit off putting. But FCEVs are horribly wasteful use of the energy. 60% efficient only under ideal conditions, and after creating H2 which is not found on earth unless bound up after expending it;s energy potential, then pumped to 11 bar to be stored and pumped into vehicle tanks at 7bar storage. producing more energy to replace declining energy supply is a gut reaction. ENCLOSING Transport, Energy, Utility, Communications in a connected network of permanent structure. Will allow these all important and influencing processes to begin to technologically evolve in a secure and controlled environment. Whose extreme efficiencies and increased capabilities will deliver a fixed cost of investment in a smaller and limited provision of permanent components. US spends $200b on highways and unavoidably incurs another $2t in just energy & Accidents. To be at todays cost level. Comparative limits in permanent invest. Same as 250,000 mi @ $440m per mi but with out short lived highways, energy, resources, accidents, 1/10 Time, And no sole property use, environmental or ecological impact. All in 50 year old reliably known and proven structural and technological abilities. A pipe, perm magnetic rail, 3lb psi vacuum, and regenerative braking. My figures indicate An integrated distribution system may be accomplished at 1/4 or 20% todays cost. Whose elimination of energy, resource cost and unprecedented automated speeds will allow that fixed cost to become divided by a 100 times greater usage. Meaning the average person will be able to afford the cost and time to travel globally in hours not days. Enclosure is an awesome accomplishment. The populations problem is not producing food, water, shelter, education, healthcare. Its problem is its antiquated distribution systems whose exhaustive consumptions in time, energy, and resources are preventing the necessary distribution from taking place. Simply integrate the various distribution processes into a secure environment and all the current limitations in Social / Economic disparities and Environmental / Ecological impacts will be resolved. Its a modernization of the 100 year old Horizontal elevator which incorporates the other distribution processes as well. Have any understanding as to what cost and benefits electrical processes might find when achieved in a secure and controlled environment. In a vacuum if desired. My picture is a grid of connected and integrated processes. Seems transport can be reasonably achieved with out accidents and nearly all time, energy, & resource consumptions. Microwave example should be DC to AC back to DC… and yes I know that it is possible to use buck/boost inverters or choppers to drop the 300Vdc to 5Vdc. Still a switching power supply and point stands – power supplies/drivers are not eliminated. Conversion from DC to AC, or voltage conversion are not original energy creation as my conversion of deep water pressure (source) to rotary motion (mechanical energy) to drive generator. Do not understand ref. to your comments received. I want to eliminate from GRID small energy users up to 30kW by putting device-generator (elastic source) in every home as additional green energy suply appliance. For industrial use supply using deep water source up to 1GW driver units(12MW per cu.m of device size and every bar (starting from 20m depth). Do not forget green transportation use. There are a lot of things overlooked in energy and transportation. For the time being wind and solar will dominate alternative energy because they do not able to compete with fossils and are not hurting and not able to supply enough energy. What about new sources of energy and new designs for transportation. The most overlooked source of energy is water – precisly deep water pressure, with unlimited supply it requires only technology to convert pressure directly to rotation to drive generator. Device for conversion is called Engine powered by static pressure, which is currently under development, requiring help. The most overlooked source of green energy to power transportation is similar device with ability to move transportation by thrust force (horse was doing this) but then transportation started to use rotary motion which is requiring about 5 times more energy to move car or plane. Unfortunate, there are no support for such developments, at least in my Country, where it is presently killed by oil Government. “Thomas Edison invented the light bulb”? Time to shut down your magazine huh?? Didn’t he try 2000 ways that didn’t work and settled on a filament that was cheap junk. Tesla predicted the demise of the Edison bulb in 1897, but he was wrong, the republican’s have extended the ban on Edison’s bulb until after 2016. Of course, this part ignores the cost of creating the fuel in the first place. 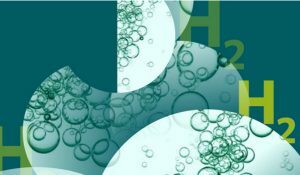 The article mentions using hydrogen. However, hydrogen is an energy carrier that must be produced first. If you’ve got a well-designed process, you might do so at an efficiency of say 60%. Now, you’re talking about a round-trip efficiency of 36% (i.e., 60% x 60%). Can we really afford to throw away 64% of generated electricity? Unless renewable generation becomes essentially free I highly doubt it. And if it does not, the electricity thrown away strongly adds to the hydrogen fuel cost. Batteries, on the other hand, don’t suffer from this issue with typical round-trip efficiencies of 80%-90%. So, I wouldn’t be so quick to dismiss battery electric vehicles. I like the way Ad van Wijk is thinking, but using ammonia as a liquid fuel for transport seems much more practical than hydrogen. Ammonia would not require a large change in current engine technology and can be transported and stored very easily, like gasoline and diesel. Another credible option is to fabricate synthetic hydrocarbons as a direct replacement for crude oil-based hydrocarbons. Cost is always an issue of course. But if you have large amounts of very cheap electricity provided by advanced nuclear power plants then we could make climate neutral ammonia and/or synthetic hydrocarbons cheaper than current crude-oil based liquids.